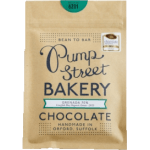 Pump Street Bakery was founded in 2010 by father and daughter team Chris and Joanna Brennan. It remains a small, family owned bakery and cafe in the town of Orford, on Suffolk’s Heritage Coast. However, having mastered the art of bread and pastry, the team turned their all-consuming attention to detail and quality to chocolate. 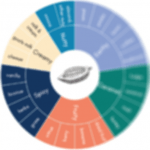 They spent two years sourcing the beans for their chocolates and now work with just five sources in Ecuador, Madagascar, Grenada, Honduras and Jamaica. The dedication has paid off, with their chocolates winning awards at every major chocolate festival. The Pump Street Bakery is located in a 15th Century building on the Orford town square, which has been home to many local businesses over the years.